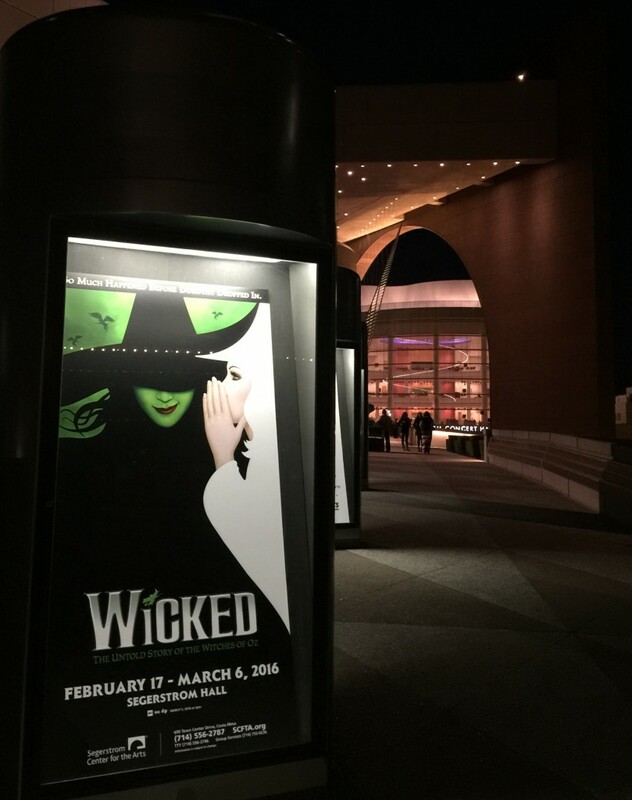 After breaking box office records in 2006, 2011 and 2013, WICKED returns to Segerstrom Center for the Arts through March 6, 2016. 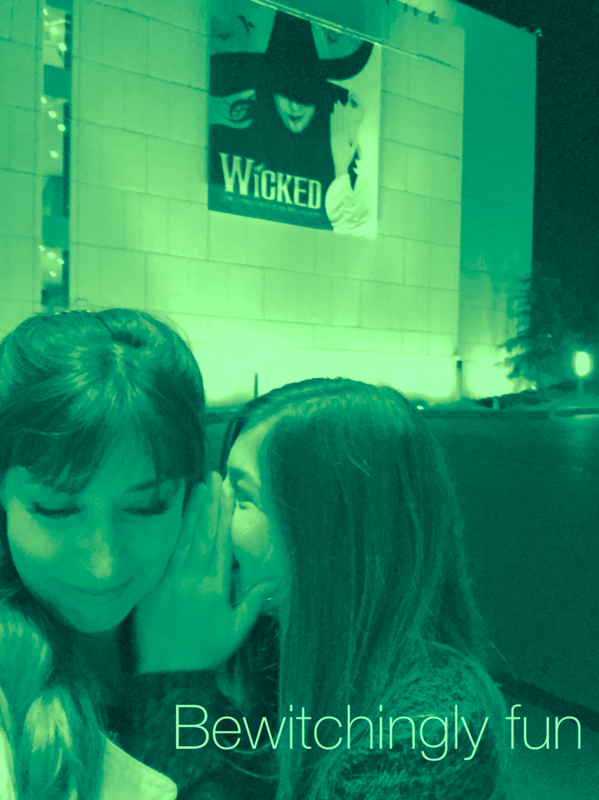 And whether you’re up for a fancy date night out or an artsy evening with your kids, Wicked is an enchanting good time with music that’s off the charts. We giggled, cackled and laughed out loud, as this year’s new cast wildly entertaining all. I had forgotten how wickedly funny Wicked really is. Much of the Broadway play is so clever and wonderfully written that it’s simply infectiously charming. The banter between young Elphaba (played by Emily Koch) and “Ga-linda” (played by Amanda Jane Cooper) is hilarious. Koch and Cooper have chemistry that kills it. Their wit turns endearing, as their relationship evolves and the two unlikely friends grow to become the Wicked Witch of the West and Glinda the Good. The singing of course is spectacular and does not disappoint. 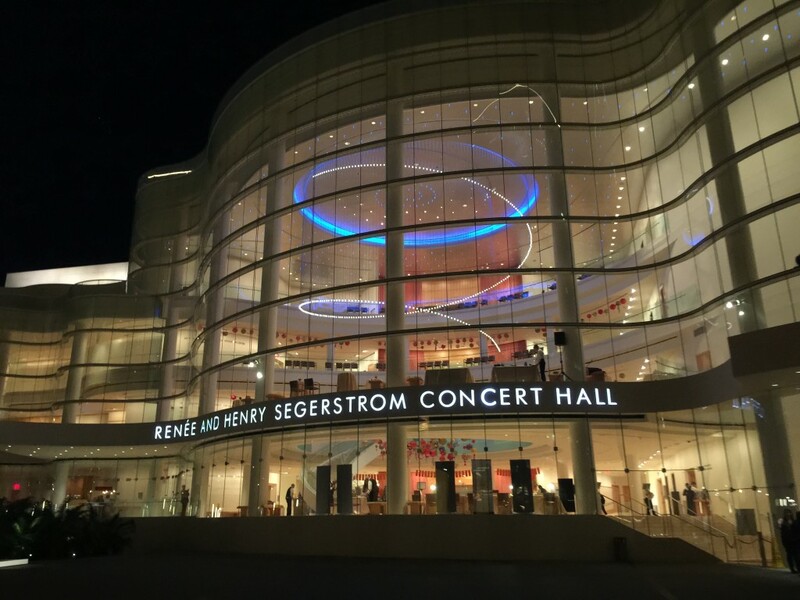 The elegant venue of Segerstrom Center for the Arts makes for an inspired evening of art paired with stunning architecture at every corner. Before the show, I’d recommend hitting Leatherby’s for dinner and drinks (or even an appetizer and glass of wine), as it’s steps from the performance. 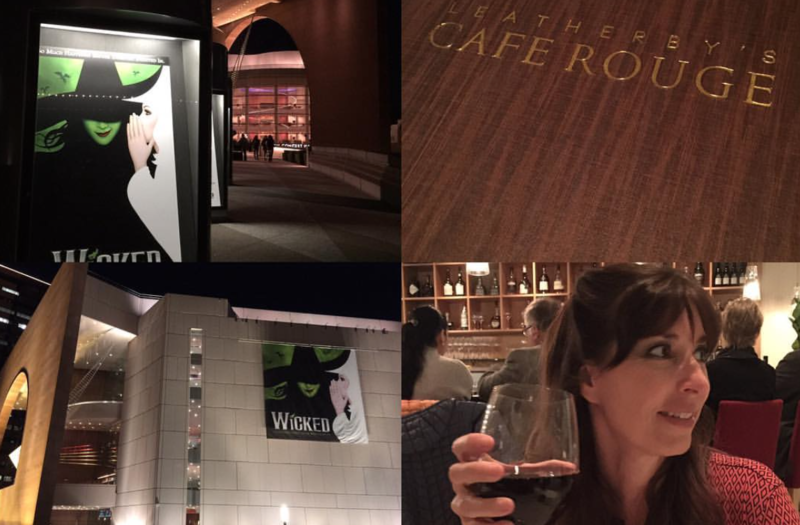 Leatherby’s is also hosting a special Wicked menu, even offering Elphaba and Glinda cupcakes. Leatherby’s Cafe Rouge is located in the Renée and Henry Segerstrom Concert Hall, pictured below (off to the far left). In addition to the cutting humor and monumental stage presence of the cast, the set and behind-the-scene production is quite spectacular itself. They use 200 pounds of dry ice per show. The electrics department uses enough power to supply approximately twelve houses. Including the sound and automation departments, the total would increase to eighteen houses. 1,000 feet of steel cable have been used to restring the flying monkey wings during year one of the Broadway run. The carpentry department on Broadway has about 175,000 pounds of scenery, and uses about five miles of cable to automate it. The dragon’s eyes are red LED bulbs that never burn out. The dragon’s wingspan is the same as a Cessna 172. The “life casts” for the animal masks take 2-3 hours, and the person loses most of their senses (smell, sight, hearing, speech) during that time. The show has 90 wigs, using 70 during any given show. All are made of human hair, and made individually for each actor, using their own hairline in the front. There are 179 different types and finishes of leather used in shoes, gloves, hats and costume trim for WICKED. Tickets start at $44.25 and are available online at SCFTA.org, by calling (714) 556-2787 and at the Box Office at 600 Town Center Drive in Costa Mesa. Long before that girl from Kansas arrives in Munchkinland, two girls meet in the land of Oz. One—born with emerald green skin—is smart, fiery and misunderstood. The other is beautiful, ambitious and very popular. 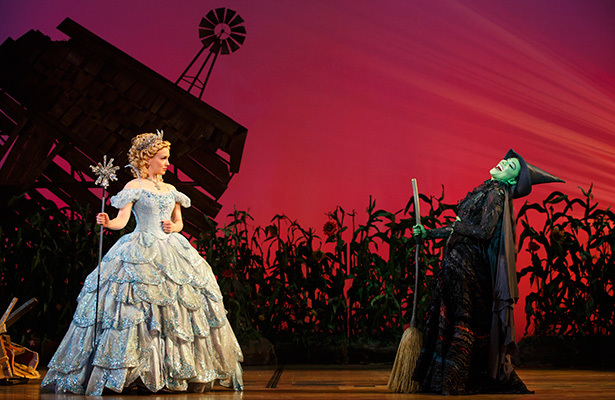 How these two grow to become the Wicked Witch of the West and Glinda the Good makes for an amazing musical.